Last December, 100 students and faculty rallied to deliver a petition to the Board of Managers, signed by over 800 students, 300 alumni, and 56 faculty, calling on them to divest. Since then, support for divestment has only grown. Now, over 1500 students, faculty, and alumni have signed the petition. Following this mandate from the community for divestment, Board Chair Gil Kemp agreed to a meeting between five members of the Board and five members of Mountain Justice for this Monday. Since Cambridge Associates, Swarthmore’s largest financial aid consultant, announcted that they are willing to help Swarthmore divest, we have asked Gil Kemp and Chris Niemczewski, the Investments Committee Chair, several times for a meeting to prepare a proposal to bring to the February Board meeting. The Board was unwilling to meet over winter break, so based on Gil Kemp’s suggestion, we met multiple times with Greg Brown and Mark Amstutz from the Finance and Investment Office. Based on these constructive meetings, we developed a plan for divestment, which we expect to refine at our meeting with the Board next Monday in preparation for it to be brought to the full Board in February. The proposal Mountain Justice is bringing to the Board at their February meeting asks that the Board commit to full fossil fuel divestment by 2020, the same year that the UN says global emissions must peak if the world is to avoid catastrophic climate change. As the world moves toward a more sustainable future, it is unconscionable for Swarthmore to remain invested in fossil fuels. Swarthmore can begin divesting immediately by acting on the offer by Cambridge Associates, to identify opportunities to screen out fossil fuel stocks from our managed funds. Then, over the following four years, the college can work to transition the rest of the endowment at a deliberate pace to ensure strong returns. As the Finance and Investments Office has confirmed, some of Swarthmore’s other fund managers already have fossil fuel free investment options. Further, some of our endowment is invested in separately-managed funds, where Swarthmore is the only investor, and can be divested just by asking those managers to exclude the Carbon Underground 200. Any remaining investments in managers unable to accommodate divestment could be gradually transitioned to other managers who can, which is a routine practice for the investments office and could be done with the help of Cambridge. The process of divestment can begin with just a phone call on Tuesday and there is no reason not to make that call. It is the right choice financially, politically, and morally, and is the only logical conclusion of the process that Chris Niemczewski, the Investments Committee, and the Investments Office began following the December Board meeting of evaluating the risks climate change and carbon regulation pose to our endowment. Given the growing financial risk of unburnable, stranded carbon assets, fossil fuel divestment is the only solution which will protect our endowment from the carbon bubble. We know that the climate crisis and climate regulations significantly threaten the viability of fossil fuel investments. The financial risk posed by unburnable carbon is clear. If we take the necessary action to avoid catastrophic climate impacts and leave 60% – 80% of current carbon reserves in the ground, roughly $20 trillion in assets will be stranded. Fossil fuel companies could be devalued by 40% to 60%, the investment bank HSBC estimates. U.K. Energy Secretary Ed Davey warned that fossil fuel stocks could be the “sub-prime assets of the future.” And UN Climate Chief Christiana Figueres ‘79 notes that either “we will move to a low-carbon world because nature will force us, or because policy will guide us,” and that continued investment in fossil fuels despite this threat constitutes a “blatant breach of fiduciary duty.” If our Investments Committee begins to evaluate these threats, this can only lead to fossil fuel divestment. The political and economic impacts of divestment are no longer deniable. The fossil fuel industry itself has affirmed the effectiveness of divestment — and they are fighting our movement. The Alberta Oil Magazine bluntly warned that “energy executives ignore the [divestment] campaign at their own peril.” The Minerals Council of Australia, a coal industry group, is even attempting to render divestment illegal, claiming that it unduly burdens them because “stigmatization makes it difficult for an industry to engage with its customers, attract employees and more importantly access capital for investment purposes.” At this year’s UN climate conference in Peru, Shell announced a panel entitled, “Why Divest from Fossil Fuels When a Future with Low-Emission Fossil Energy Use Is Already a Reality?” They quietly chose a more innocuous title about carbon goals at the last-minute. NRG, one of the largest electricity companies in the U.S, recently pledged to cut 90% of their carbon emissions by 2050, citing the political pressure generated from the divestment movement as a significant influence in this decision. These reactions from fossil fuel companies further confirm that divestment has turned the tables against the fossil fuel industry. Divestment threatens the industry’s most valuable asset — their political and social reputation capital, which allows them to manipulate our political and economic system to ensure their continued dominance. As a community, we have a responsibility to be thinking about how we can best leverage our power and resources to prevent catastrophic climate change. According to UN climate scientists, global emissions must peak within the next five to ten years in order to avoid triggering positive feedback loops that could lead to runaway global warming. As a prestigious liberal arts college, our endowment is our most powerful lever for social change. Fossil fuel investments are in the public eye and as the school where this movement began, the world is watching us. 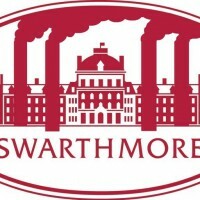 It is unconscionable for Swarthmore, as an institution committed to science, ethics, and social responsibility, to invest in and legitimize the fossil fuel companies that are wrecking the climate, poisoning communities, and jeopardizing the very future for which our education is meant to prepare us.